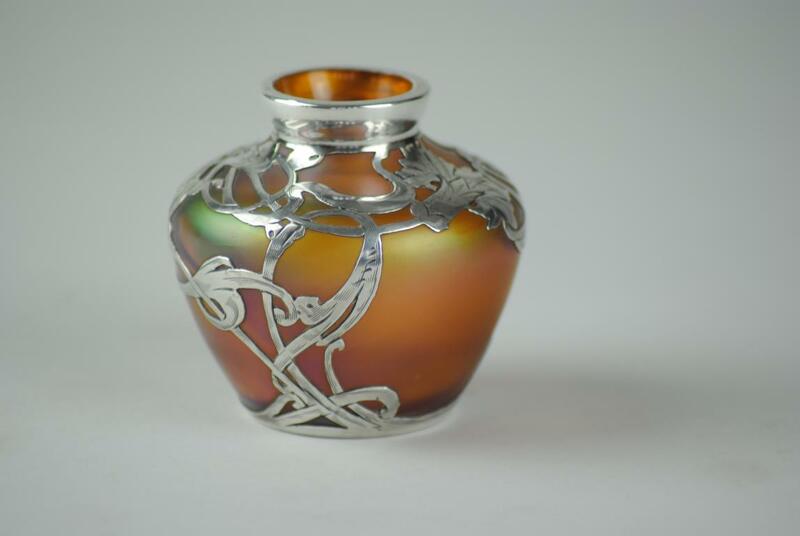 Art Nouveau small Loetz iridescent glass vase in the Vulkan décor with silver overlay. 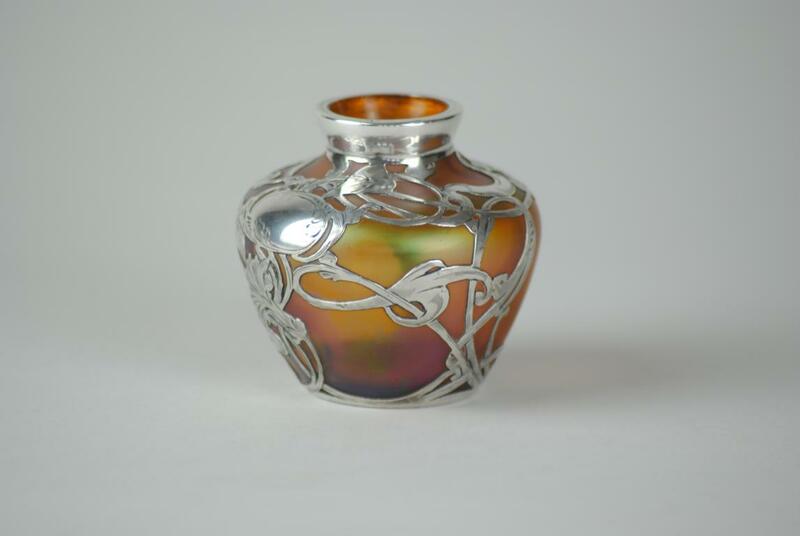 The small vase has transluscent bronze and green iridescence. The silver overlay is very finely hand worked with a design of Art Nouveau flowers and leaves and is also worked around the mouth of the vase to further enhance the design. 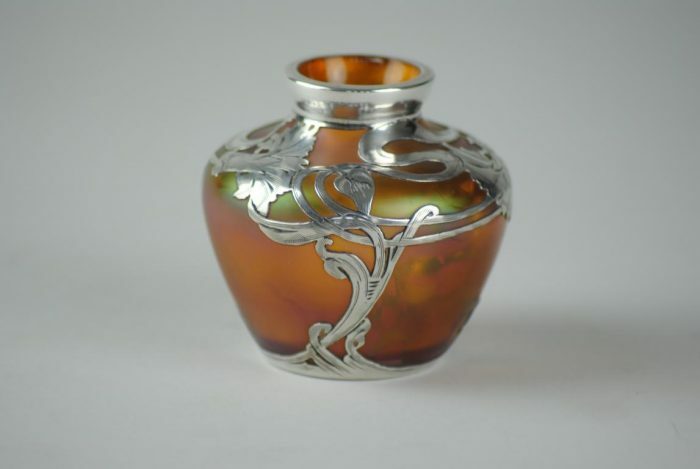 The vase is unsigned but the silver is stamped sterling. 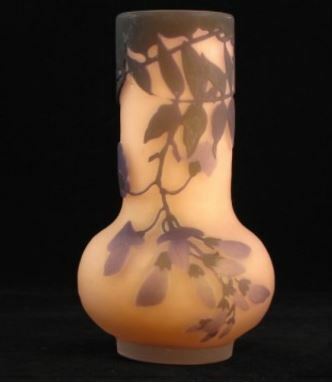 Made by the Loetz witwe glassworks in Klostermuhle about 1902 for Bakalowits. A charming piece. 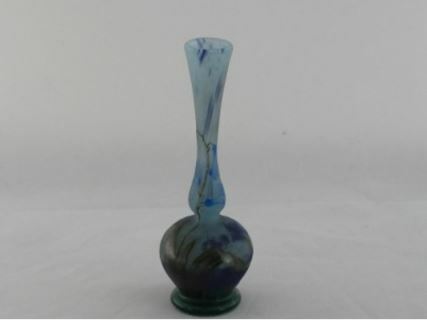 Few glassworks have exploited the bluish-green combination of cobalt, copper and iron more successfully than that founded in 1840 by Johann Loetz in Klostermuhle, Bohemia, which was within the Austro-Hungarian empire during most of its period of operation. Even though Loetz died in 1848, the Loetz factory was initially operated by his wife under the name Glasfabrik Johann Loetz-Witwe (the Widow Johann Loetz Glassworks). It retained that name until its closing during the Second World War. 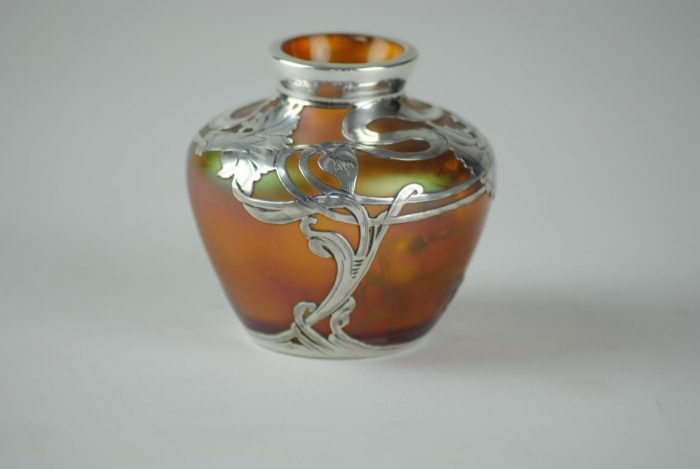 By the early 1880s the Loetz works had acquired a reputation as a manufacturer of fine glass, produced under the direction of Loetz’s grandson Max Ritter von Spaun. 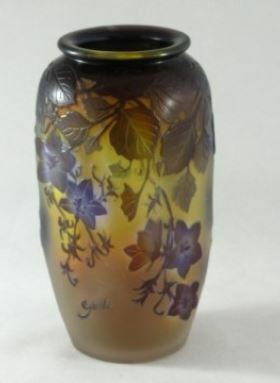 He modernized the works and introduced innovative glass types and production techniques, several of which he patented. By 1889, Loetz glassware was well enough established to exhibit at the Paris International Exposition. Spaun was further encouraged by successes at the 1893 Columbia World’s Fair in Chicago, and he concentrated his efforts on developing iridescent finishes. 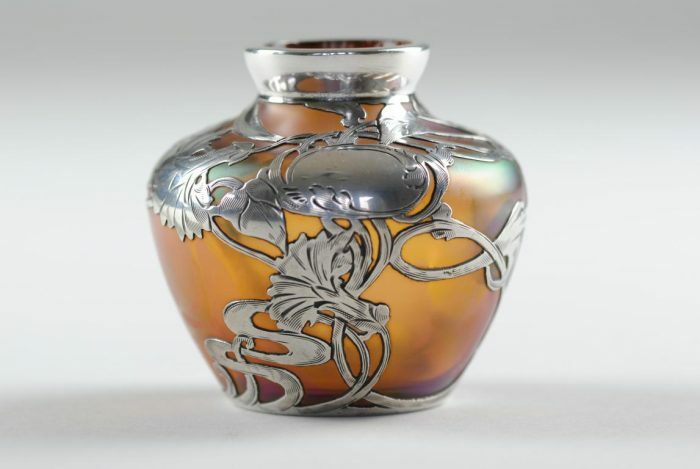 In 1898, after several years of experimentation with variations in firing, he patented a technique to produce the deep blue or gold metallic luster for which Loetz is known. 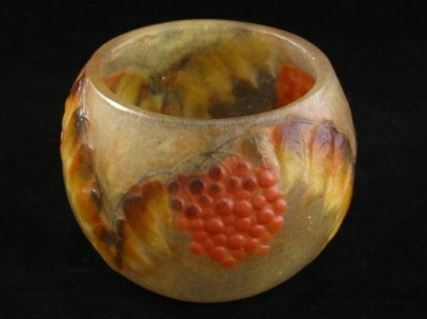 It is still the most identifiable and most sought-after feature of Loetz glass. Spaun celebrated with an impressive exhibition of vessels he designed for production in the new technique in Vienna, Loetz’s closest and most receptive marketplace. Within a few years of the exposition, the Loetz-Witwe works became regarded as one of the finest and most progressive producers of Art Nouveau glass in the world. Condition Excellent original condition .